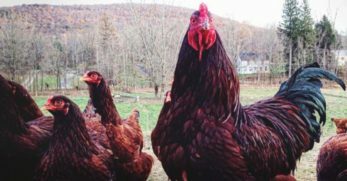 Even if you aren’t waist deep in the world of chickens, chances are you’ve heard of the Easter Eggers! 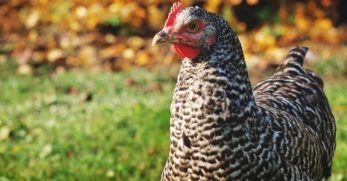 Easter Egger chickens are some of the most popular birds around for backyard chicken flocks, and it’s no mystery why. 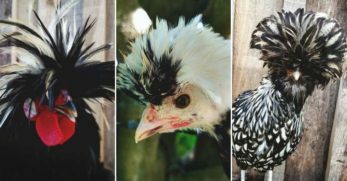 These quirky birds sport comical looking cheek puffs and beards, a little break from most ordinarily clean faced chickens. 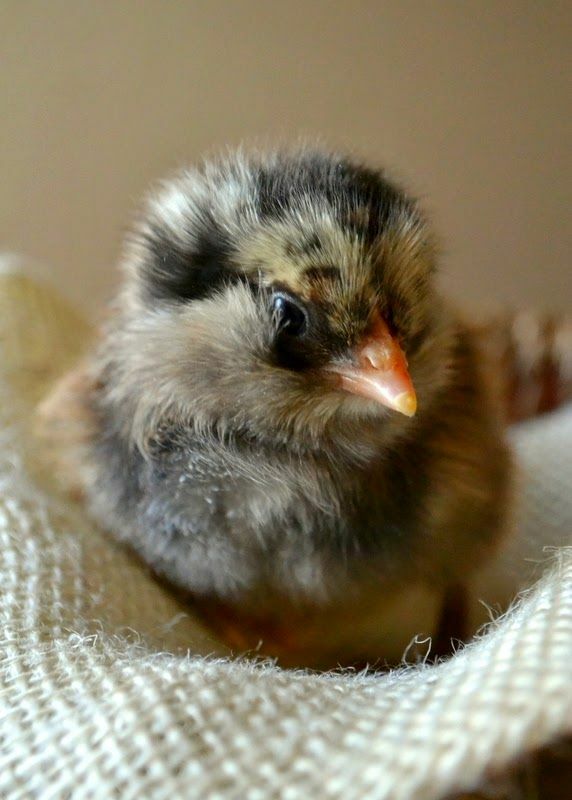 Easter Eggers also make an exceptional choice for flocks with little caretakers. Children love the friendly disposition of Easter Eggers. Little helpers also delight in the pink, blue, and green eggs they gather from the nesting boxes. 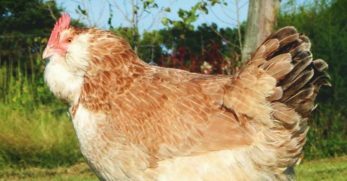 Though Easter Egger chickens do have several defining characteristics and traits, Easter Eggers does not have a standard of perfection, nor do they fully meet any other breed’s standards with the American Poultry Association. According to most people, an Easter Egger is defined as a bird that carries a blue egg gene. Many people get confused and think Easter Eggers, Ameraucanas and Araucanas are the same chicken breed. Some people have also mislabeled Easter Eggers as Ameraucanas or Araucanas. 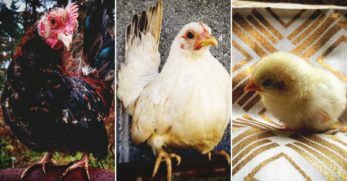 Despite their similarities, Ameraucanas, Araucanas, and Easter Eggers are each different “breeds”. The main reason for this confusion is because Ameraucanas and Araucanas descended from Easter Eggers. Ameraucanas and Araucanas are now two individual breeds accepted into the American Standard of Perfection while Easter Eggers aren’t exactly classified as a breed right now. Even though Easter Eggers are not accepted into the American Standard of Perfection, that hasn’t stopped them from capturing the hearts of many chicken keepers everywhere! Easter Eggers are petite chickens and are definitely not a bird you would consider for meat production. 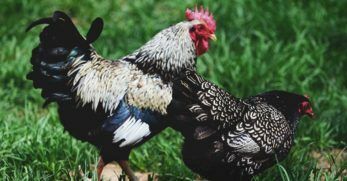 Hens weigh approximately 4 pounds, and roosters weigh about 5 pounds. These birds do not have particularly fluffy feathers, so they have a rather small appearance as well. 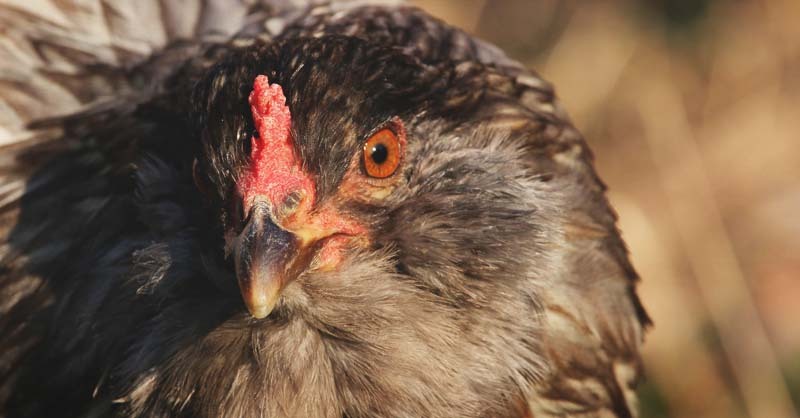 Easter Eggers have incredibly docile and friendly dispositions that they are well known for. 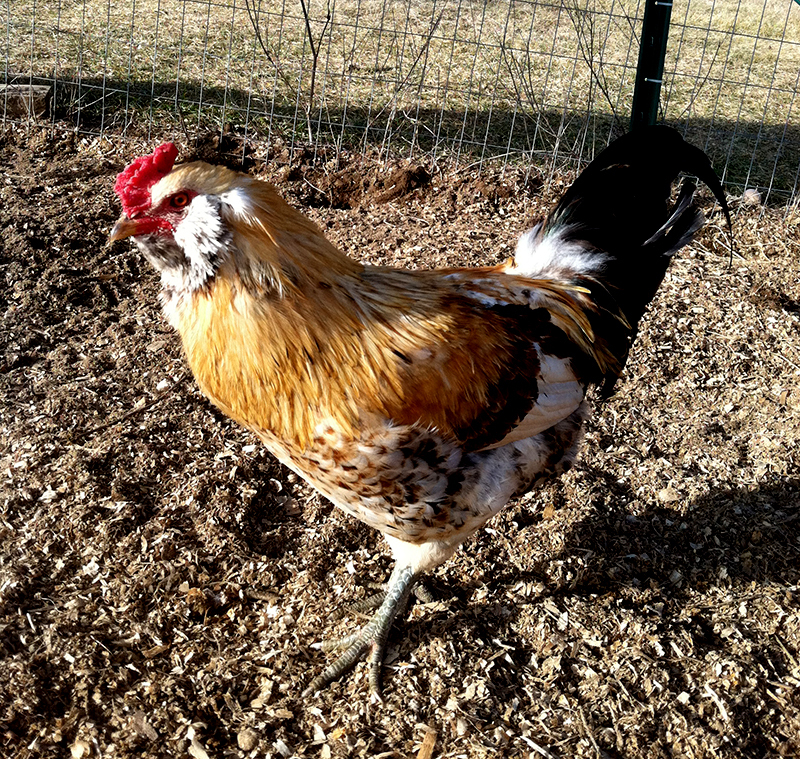 Chicken keepers who are after pets, as well as excellent and fun layers, love Easter Eggers. Many people affectionately call their Easter Eggers their “lap chickens” because of their eagerness to cuddle with their owners. In addition to laying fun and colorful eggs, Easter Eggers has excellent production. 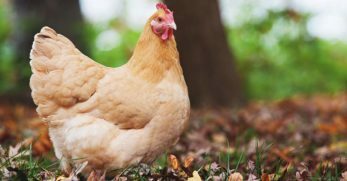 One hen can produce about 250 eggs per year. That’s about five colorful eggs per week! 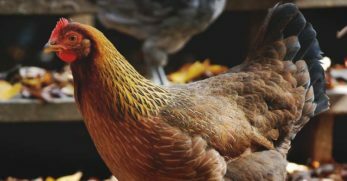 Hens may slow down with laying in the winter due to shortened daylight hours, but they can still produce several eggs during the winter. A quick note about egg color to clear up any confusion or misconceptions. 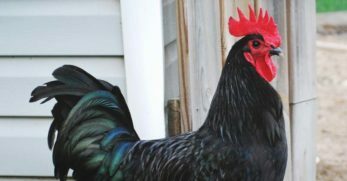 While Easter Eggers do carry the blue egg gene, not every hen will lay colored eggs. Sometimes a hen will lay a tan or brown egg. 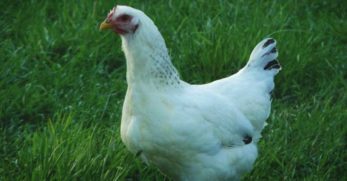 If you want a guaranteed a blue egg layer, you’ll need to purchase a chicken specially bred to lay blue eggs. Since Easter Eggers are a fairly small breed, they don’t consume as much food. 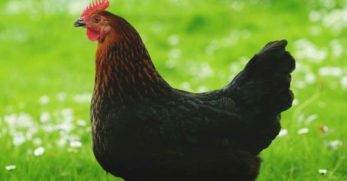 Many chicken keepers love Easter Eggers for their feed efficiency and excellent production. 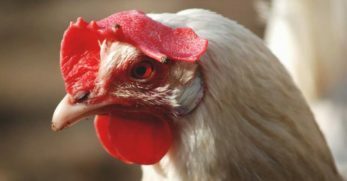 Easter Eggers do not require much above a standard laying feed and supplemental calcium. Provide calcium such as oyster shells in a separate dish where hens can eat some as they need it. Easter Eggers don’t require as much space as some chickens might since they are rather small. In the coop, 3-4 square feet per bird is ideal to ensure they have space to avoid picking and crowding. If you choose to free range your flock, Easter Eggers do well foraging. However, Easter Eggers do fine in confinement if you don’t have space for free ranging. In the run, 10 square feet per bird is ideal so your birds have room to stretch their legs. Easter Eggers do tend to be especially susceptible to a genetic deformity called Scissor Beak. Scissor Beak ranges from mild to very severe and there is not a cure for it. Some birds can survive just fine in the flock with mild Scissor Beak. 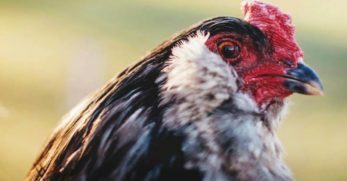 Other chickens may require extra care or need to be removed from the flock and get one-on-one care. Some cases are severe enough that euthanasia may be the most humane option. 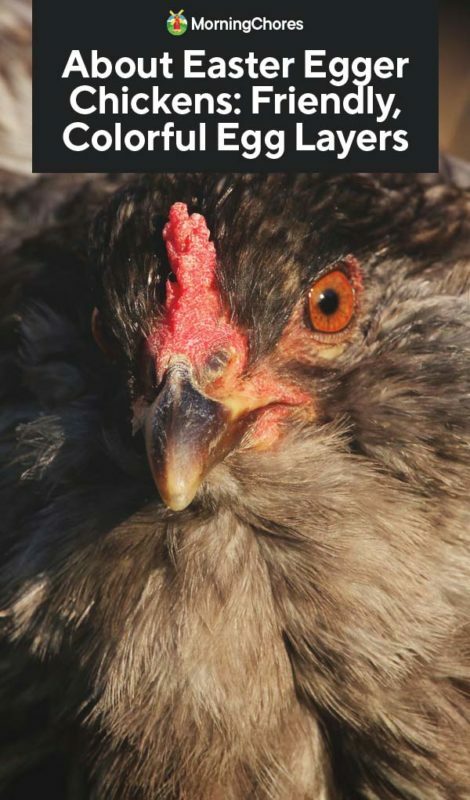 Every situation is different, and as a chicken keeper sometimes we must make decisions based on the severity and circumstantial matters. Since Scissor Beak is a genetic deformity, never use birds affected by Scissor Beak for breeding. Other than the Scissor Beak deformity that can affect some Easter Eggers, they are pretty healthy birds. 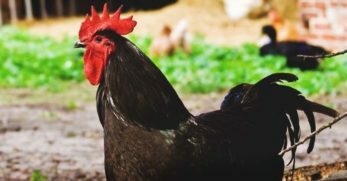 Easter Eggers have so many different breeds in their background that they have been exposed to and built immunity to many sicknesses. They are therefore hardy chickens. 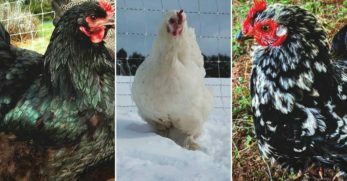 Since there are no standards to be held to and blue egg laying chickens are in demand, Easter Eggers are very rewarding to breed. 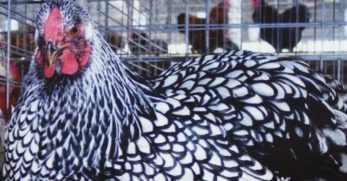 For new breeders looking to play around with genetics, Easter Eggers are a perfect fit. Some people like crossing different colored egg layers to see what comes out just for fun. There is always a market for colored egg laying hens so you should have no problem selling your extra chicks. As previously described, Ameraucanas are very similar to Easter Eggers. If you’re looking for a slightly more refined breed with a set of standards, Ameraucanas might fit the bill. Ameraucanas weigh a bit more and lay only blue eggs. 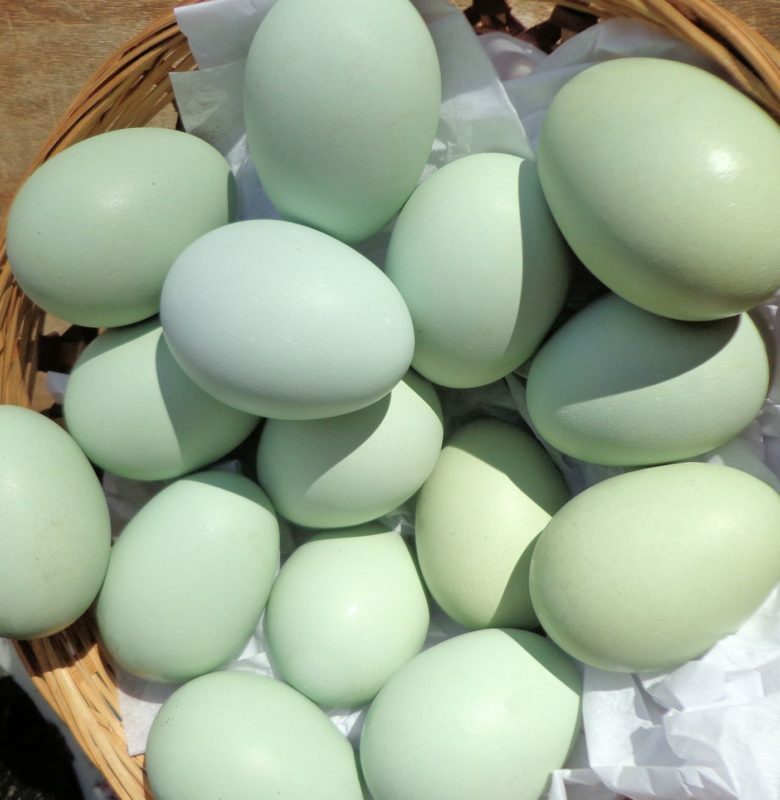 You won’t be able to expect green or pink eggs from an Ameraucana. As far as breeding goes, Ameraucanas are a slightly rare breed, so they will fetch a heftier price if you’re interested in selling them. Legbars have a different appearance than Easter Eggers. 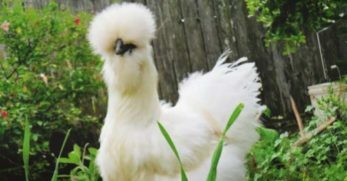 Instead of cheek muffs and a beard, these spunky Legbars have a clean face and a fancy crest. Legbars lay a sky blue egg and average about 180 eggs per year. Legbars are a bit hard to find as they are high in demand but they’re a rewarding breed to raise and worth the search. Whiting True Blues are a hybrid breed that is still rather new but they are growing in popularity. These birds are excellent layers of powder blue eggs. Just like Easter Eggers, there is no standard for these birds, so they’re pretty fun to play with. Unlike Easter Eggers, they have a clean face. True Blues are about the same size as Easter Eggers, so they’re pretty efficient on feed. Though all appearances with Easter Eggers vary, these birds are some of the few that occasionally have beautiful slate blue legs. These are certainly an interesting change from the ordinary yellow or white chicken legs. These birds sure have spread quickly for a breed of chicken not accepted by the American Poultry Association. 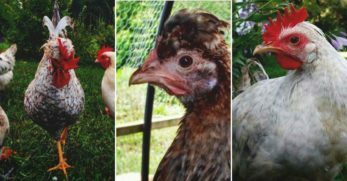 Many chicken keepers wouldn’t have their flock without these beautiful and friendly egg layers. You might like them too!